HOUSEHOLDERS SHOULD not leave their taps running in an attempt to prevent their pipes from bursting during the freezing weather as it could do just that, experts have warned. A polar vortex from Siberia, referred to as “the Beast from the East”, is expected to bring heavy snowfall and blizzard conditions on Thursday and Friday and temperatures are expected to drop as low as -6 degrees. As the low temperatures will leave many water pipes at risk of bursting, householders are often of the opinion that leaving a tap running can prevent a burst from occurring. However, Richard Burke of the Heating and Plumbing Association of Ireland has told TheJournal.ie that leaving a water tap running to prevent pipes from bursting is a myth. “I wouldn’t recommend it because it could have a knock-on effect with freezing. It’s a myth to leave the tap running, it can cause problems elsewhere,” Burke said. He said that if the water is left running continuously it risks freezing the drain as it’s leaving the sink. “It can block up the drain and the sink will fill up and overflow, I’ve seen it happen on a few occasions,” Burke said. As for the water mains, Burke said that there is nothing householders can do to prevent the water that is entering the house from freezing the pipes. If the water mains pipes underground aren’t deep enough below the surface, they can easily cause a freeze above ground, Burke warned. “If the water coming in from the road isn’t down deep enough, it’s going to freeze and there’s nothing you can actually do about it. It just depends how far down the frost will penetrate down through the ground,” he said. Although leaving the taps running may not be a good idea, Burke suggested a few measures householders can take to lessen the risk of frozen pipes. I would try to protect the house as best as I could. Leave the heating running a lot longer, maybe at a lower heat, just to have it tipping away. “If you have an attic with tanks, I would definitely leave the trap door open a bit to bring some heat up there,” Burke said. Irish Water has also issued advice on how to secure your home for winter weather. It is advising householders to have a separate supply of fresh drinking water available on your premises in case a water pipe freezes or bursts due to the freezing weather. Any dripping water taps should also be fixed. It also said that householders should ensure any gaps under doors and around windows are covered or sealed as cold air coming from outside can cause pipes to freeze inside a home. Furthermore, opening doors to unheated areas of a home can allow warm air to circulate, which prevent pipes and tanks from freezing. ESB Networks has said that it has a full emergency response in place to address any power outages over the coming days. Customers without power can check for updates on when their fault is expected to be repaired here or on the PowerCheck mobile app. Email “Householders warned NOT to leave their taps running during the freezing weather”. 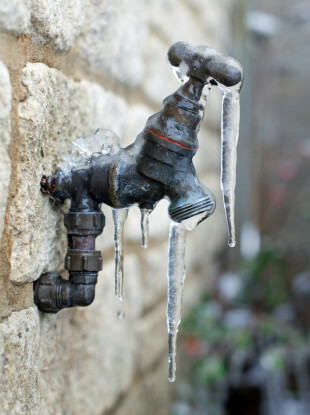 Feedback on “Householders warned NOT to leave their taps running during the freezing weather”.